Our Synchro Skills 1 team will be skating with the Glenview Ice Center Synchro Class this session. Join us and learn the basic skills of synchronized skating! The Glenview Ice center is offering a synchro class beginning October 9th running through December 18th on Tuesdays from 6:30-7:15pm. This 10 week class will cover the fundamentals of the sport including the following elements: block, circle, intersection, line, and wheels. These elements will be choreographed with music to perform at the Holiday Exhibition on Friday, December 21st, 2018. 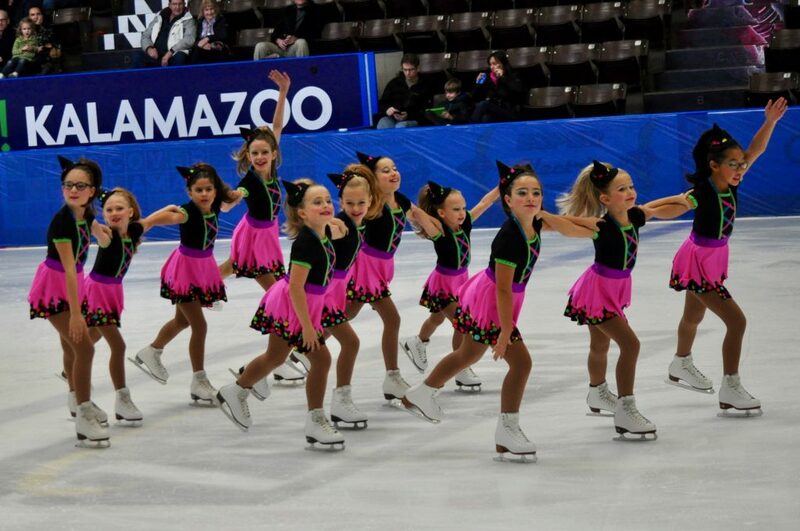 Our Synchro Skills 1 beginner team will skate with the synchro class during the session. This is a beginning program for Basic 4 and up that is fun, challenging, and rewarding. Tryouts for the Glenview Blades Synchronized Skating teams for the 2019-2020 season will be held in the spring of 2019. 2018/19 Glenview Blades Commitment Meeting – Tuesday, May 8th! Teams earn 5 medals in January! 2014-15 GLENVIEW BLADES ROSTERS AND ADDITIONAL TRYOUTS! Blades Skate Great at Season Opener! Join the Blades for Family Skate Night!